Many eyebrows were raised when the news of the shutdown reached world capitals. This has come in the midst of several conjectures whether the proposed Trump-Kim summit would take place as scheduled. The US President Donald Trump’s recent nuclear policy shifts and overtures regarding North Korea and Iran already generated a lot of responses. 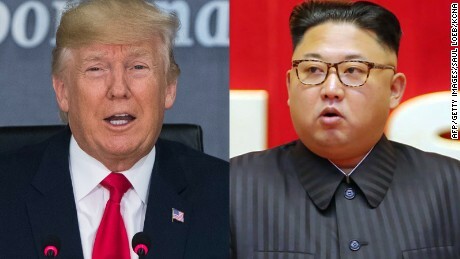 While there are concerns and anxieties regarding Trump’s abrogation of the nuclear deal with Iran, the much-projected summit with the North Korean leader Kim Jong-un on 12 June has already been under strain in the wake of statements by leaders of both countries. North Korea warned that it might pull out of the summit if Washington continued to insist Pyongyang abandon its nukes unilaterally. Its vice-foreign minister Kim Kye-gwan took exception to the US leaders making irresponsible statements. He referred specifically to the comments made by the US National Security Adviser John Bolton. Kim Kye-gwan went to the extent of saying that his country did not hide its “feeling of repugnance towards him.” Bolton’s statement that “Pyongyang has the Libya model of verifiable denuclearization to follow” obviously angered the North Korean leaders. Referring to the “Libyan model,” Choe reminded the US that like Iran, Libya did not possess an operational nuclear weapons programme when it entered into a deal with the West. However, Pyongyang considers itself as a nuclear weapon state and hence North Korea should be treated as an equal to the United States and other nuclear powers. Obviously, this would have angered Trump. Petras said that Trump expects China to decline as a world economic power so that “the US will grow and dominate the Asian and world economy” (James Petras, “Reasons Trump Breaks Nuclear-Sanction Agreement with Iran Declares Trade War with China and Meets with North Korea,” James Petras Website, 15 May 2018, at https://petras.lahaine.org/reasons-trump-breaks-nuclear-sanction-agreement/). As things stand, the US-North Korea relations are likely to be further strained by a wide range of issues like Libyan model (of unilateral nuclear disarmament), American military control over the East Asian region and problems in trade relations with China. Trump is now more arrogant and unyielding. North Korean leader will surely demand the termination of sanctions, among others, even if the summit is held “some time.” Kim will think many times before offering a renunciation of nuclear weapons, particularly after Trump’s abrogation of the Iran deal. Kim knows very well that the Trump administration is so obsessed with its “America First” doctrine that it hardly respects international agreements and commitments. What Kim did on Thursday at Punggye-ri site is only a gesture that North Korea is no longer ‘unyielding’ on crucial nuclear question. However, renunciation of nuclear weapons is an entirely different question which calls for a much serious and demanding conversation between Trump and Kim. That possibility is now scuttled by Trump with his brinkmanship and shortsightedness. Peace in Korean Peninsula is again a matter of wild conjectures.